State Bank of India (SBI) is an Indian multinational, public sector banking and financial services company. It is a government-owned corporation headquartered in Mumbai, Maharashtra. The company is ranked 216th on the Fortune Global 500 list of the world's biggest corporations as of 2017. 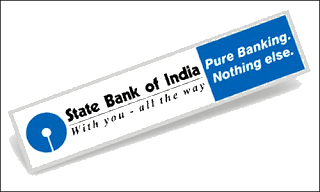 It is the largest bank in India with a 23% market share in assets, besides a share of one-fourth of the total loan and deposits market.SBI has tagline "Pure Banking, Nothing Else"